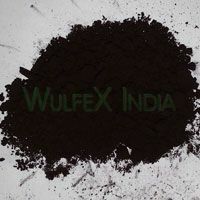 In a short span of time, Wulfex India has earned a prominent position among Ci Powder, iron powder, iron oxide, brown iron oxide, Black Iron Oxide Powder, Black Iron Oxide Pigment, iron dust, cast iron powder, pig iron etc. Supplier in India. Based in Gujarat, the company is a distinguished Exporter and Supplier of Black Iron Oxide, Iron Dust and Iron Powder in India. These products are sourced from well-established vendors and, the procurement is preceded by an in-depth market survey to maintain high standards. With high-grade products the company caters to the demands of diverse industries involved in producing Black Iron Oxide Powder, CI Powder, Black Iron Oxide Pigment, Pig Iron etc. All Rights Reserved. Wulfex India.